MEIGHEN, ROBERT, businessman; b. 18 April 1837 in Dungiven (Northern Ireland), son of Robert Meighen and Mary Osborne McLenaghan; m. 28 July 1868 Elsie Stephen (d. 1917) in Montreal, and they had three children; d. there 13 July 1911. Robert Meighen was brought to British North America by his mother after the death of her husband in January 1838. She joined her brother Charles McLenaghan on his farm near Perth, Upper Canada, on 9 Sept. 1839. After his education in the local school, Meighen moved to Perth, where his elder brother Arthur had opened a grocery store in 1848. Meighen worked in the store from age 14 and in 1867 joined the partnership of Arthur Meighen and Brothers, which was to become the largest mercantile house in Lanark County. In 1868 Meighen married Elsie, the youngest sister of George Stephen*, a leader in Montreal’s textile trade. Meighen would be closely associated with his brother-in-law for the remainder of his career. 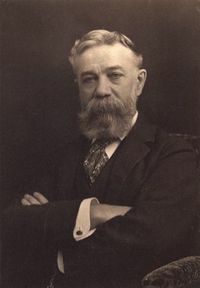 For a time he continued to be active in the family firm, but in 1882 he moved to Montreal to assume a role in the management of Stephen’s growing business empire. He retained his interest in the Perth business until 10 April 1909, when he gave his share to his surviving brother, William, and his nephews William and Robert. In 1882 Meighen became involved in the Ontario and Quebec Railway, whose charter of 1871 had been revived in 1881. 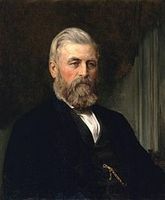 He negotiated the right of way for Stephen’s Canadian Pacific Railway syndicate to construct a line from Perth to the Credit Valley Railway northwest of Toronto so as to provide the CPR with a connection between Montreal, Ottawa, and Toronto. In 1884 lie succeeded Stephen as president of the New Brunswick Railway Company, which Stephen and his syndicate had acquired in 1880 to provide the CPR with an eastern line and terminus [see Alexander Gibson]. Meighen also took an interest in the Portage Milling Company, in Portage la Prairie, Man. 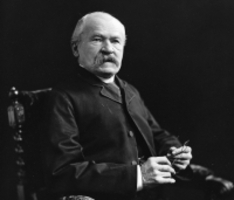 In 1889 he became president and managing director of the Lake of the Woods Milling Company Limited. The LWMC had been established by members of the CPR syndicate on 21 May 1887 to take advantage of the growing production of western grain and to provide traffic for the railway. Its headquarters were in Montreal, its operations in Keewatin (Ont. ), strategically located on the main line of the CPR and near a ready supply of water-power. There the firm developed one of the largest industrial complexes in Ontario. Its first mill, with a capacity of 140,000 bushels and a daily production of 800 barrels, was completed in 1888 under the supervision of vice-president John Mather* at a cost of more than $300,000. Its flour was sold under the name Five Roses, which became one of the world’s leading brands. Faced with growing demand and increased competition from its principal rival, the Ogilvie Milling Company (later the Ogilvie Flour Mills Company Limited) [see William Watson Ogilvie*], the LWMC substantially expanded its operations between 1890 and 1910, acquiring the Portage Milling Company, constructing grain elevators in Manitoba and Saskatchewan, and adding mills in Winnipeg, Montreal, and Saint John. By 1907 it had 75 elevators in western Canada. The company also had a barrel factory in Keewatin which made 1,200 barrels a day. Meighen prospered as the firm expanded. In 1886 he estimated his net worth at $87,750, the bulk of which was still vested in Arthur Meighen and Brothers. In 1889 his annual salary from the LWMC was $5,000 and his net worth had grown to $121,500. By 1902 the LWMC was capitalized at $500,000, with 5,000 shares valued at $100 each. Its principal shareholder was Meighen, with 1,350 shares, followed by Lord Strathcona [Smith], who held 1,000. Its annual profits reached as high as $400,000 and it paid dividends of up to 20 per cent. In 1902 Montreal stock promoter David Russell and lawyer James Naismith Greenshields* purchased the company for $2,800,000. Meighen reluctantly supported the takeover, resigning as president but remaining as general manager. After issuing $1,000,000 in bonds, $1,500,000 in preferred stock, and $2,000,000 in common shares, Greenshields and Russell offered to sell LWMC for $4,500,000. At the annual meeting on 16 Nov. 1904 Meighen regained control of the company. During his second term as president Meighen pursued a policy of reducing the firm’s capitalization and expanding its operations. In 1904 Mather, who was no longer vice-president of LWMC but still a director, and a group of Ottawa businessmen had begun building a mill at Keewatin. The LWMC immediately began legal action to prevent the Keewatin Flour Mills Company from using that name, which had been widely associated with its own operations. In April 1906, before the new mill opened, the LWMC acquired the company for $950,000 and the mill became its second in Keewatin. It had the largest capacity in the country, capable of producing 5,000 196-pound barrels per day. The acquisition made the LWMC the largest flour milling concern in the British empire. On Meighen’s death, control of Lake of the Woods passed to his son, Frank Stephen*, whose main passions were opera, the military, and the Montreal Hunt Club, all of which he supported by his lavish spending. The LWMC expanded into bakeries after World War I. It began experiencing financial difficulties in the 1920s and came close to collapse after the stock market crash of 1929. It was taken over by the Ogilvie Flour Mills Company Limited in 1954. 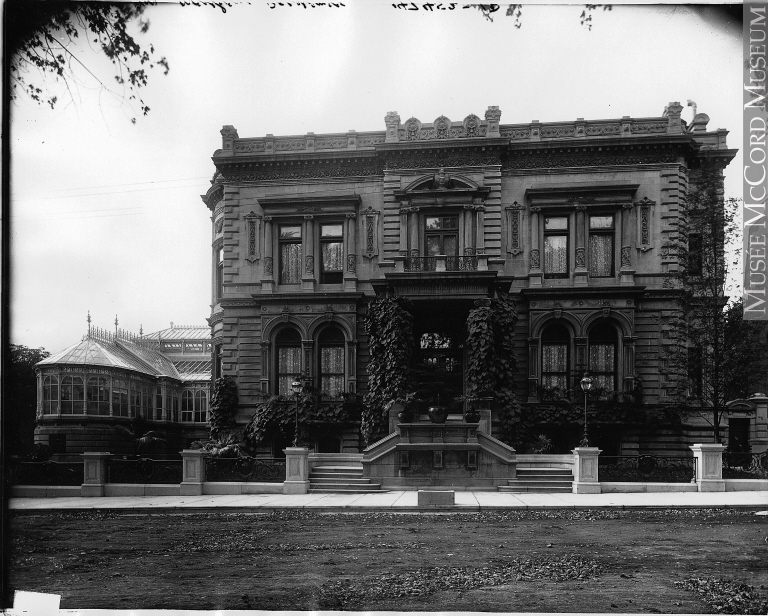 In 1894 Meighen had moved into the mansion on Rue Drummond which Stephen had built in 1880–83 at a cost of $600,000. Meighen first rented the house and then bought it on 4 Oct. 1900. Perhaps the most magnificent residence in Montreal, it was his home until his death. 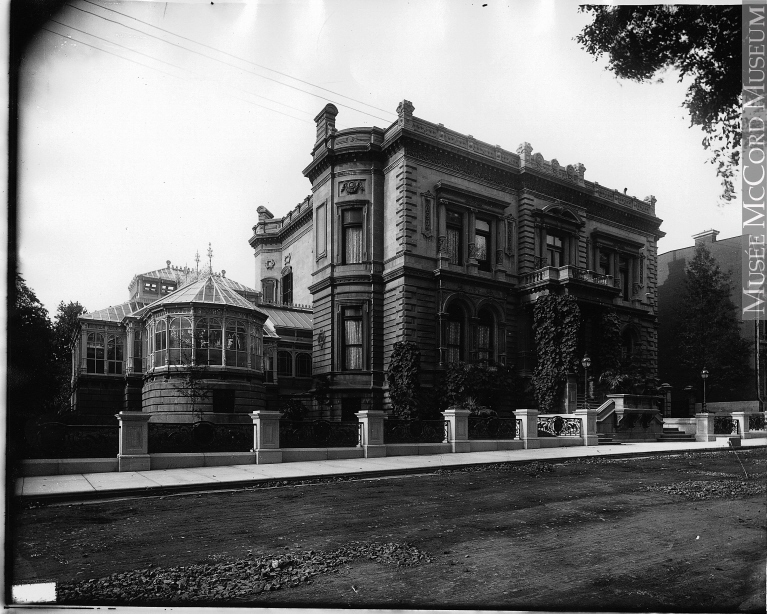 In 1929 it would become the Mount Stephen Club. The mansion also housed his collection of paintings, including works by Canadian artists Otto Reinhold Jacobi* and Allan Aaron Edson*, portraits by English artist John Hoppner, and landscapes by French artists Adolphe Monticelli and Léon Lhermitte. Meighen assumed positions of importance within the circle of companies associated with the CPR, both as the spokesman for Stephen and as a substantial shareholder himself. Conservative in his personal habits and investment practices, he was the ideal trustee for lords Mount Stephen [Stephen] and Strathcona. When in 1898 Stephen established a trust fund to provide an annual income of $2,000 to each of his many nieces and nephews, he appointed Meighen trustee along with his lawyer, John William Sterling. Meighen thus assumed control over more than $2,800,000 in assets, and took on the thankless task of doling out money to his relations, occasionally more dissolute than industrious. Meighen would also be made a trustee of a fund endowed with $300,000 by Stephen in 1909 to promote British immigration to Canada. In 1901 Stephen asked Meighen to become a director of the Canada North-West Land Company [see William Bain Scarth*], a British-Canadian syndicate whose formation in June 1882 had been instigated by the CPR so as to obtain capital to complete the railway. The CNWLC acquired large blocks of the CPR’s land and most of its shares were sold on the London market to British investors. The company was reorganized in December 1883 and again in 1893, and thereafter limped along with mediocre returns from its land sales. After the CPR, Stephen was the major shareholder in the company. His shares had cost him $348,440 in 1882. He transferred the management of his 4,398 shares to Meighen in September 1901 and Meighen became a director soon after. Meighen championed a policy of slowing the liquidation of the company’s landholdings and the optioning of large blocks of land and he pushed the board to establish a price of $10 per acre, even when the CPR was selling land at $5. Between 1901 and 1906 the CNWLC’s shares enjoyed a spectacular rise from $10 to $475, the result of its sale of 750,000 acres and the gradual reduction of its capital by the cancellation of its preferred shares. By 1906 Meighen was listed as the largest shareholder, holding 7,643 of the company’s 30,000 common stock for Stephen. By 1908 the total had risen to 8,623. On 23 Dec. 1909 Stephen sold his CNWLC shares to Meighen at a substantial discount for $43,285, fulfilling his promise that Meighen’s joining the CNWLC would be worth his while. The New Brunswick Railway Company was also essentially a land company. Its track and right of way had been leased in 1890 to the CPR for 990 years, but it owned 1,647,272 acres on the eastern side of the Saint John River. As president, Meighen advocated gradual land sales and higher prices. The company’s principal revenues came from the cutting of 50–60,000,000 board feet of lumber per year. Meighen initiated innovative measures to prevent forest fires and he continually rebuffed offers from British and American interests and the province of New Brunswick to purchase the company’s lands. Meighen was a director of the Cornwall Manufacturing Company, the Saint John Bridge and Railway Extension Company [see Thomas Rosenell Jones*], the Bank of Toronto, the Dominion Transport Company, and the Montreal Street Railway Company, and he was chairman of the Canadian board of the Phoenix Assurance Company of London. He was elected to the board of the CPR on 12 June 1908. He had substantial holdings in these companies and he also traded actively in American railway stocks. A generous philanthropist, he made most of his gifts anonymously. He was a director of the Parks and Playgrounds Association of Montreal and a governor of the Royal Victoria, Western, and Montreal Maternity hospitals. A member of St Paul’s Presbyterian Church, he was chairman of its board of trustees. He held memberships in several prestigious clubs and in the Montreal Board of Trade and the Montreal Corn Exchange Association. In addition, he was president of the New Brunswick Fish and Game Club, established to handle the New Brunswick Railway Company’s hunting and fishing rights. At his death, Meighen’s estate was valued at $2,208,425. He left bequests to his family in Perth, the Protestant Hospital for the Insane in Verdun, Que., and the Montreal General Hospital, and $15,000 to the Erskine Presbyterian Church in Montreal. The bulk of his estate passed to his wife and children. He went to considerable lengths to ensure that the husband of his youngest daughter, Margaret, would not receive any of the $800,000 he left her family. She had married Robert O. Harley, a physician who spent most of his life moving around Scotland and England to escape his creditors. A Conservative, Meighen was an early admirer of Sir John A. Macdonald*. 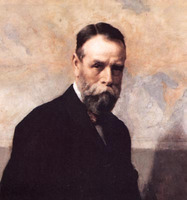 He paid $2,500 for the only from-life portrait of Macdonald, painted by Andrew Dickson Patterson, which he proudly displayed in his Montreal home. He was a supporter of the National Policy, but was the first Montreal businessman to speak in favour of a preferential tariff and free trade within the empire. 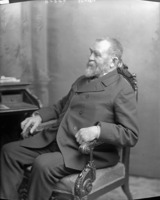 His motion in support of imperial free trade was passed by the Montreal Board of Trade in 1900. A similar motion was passed on 20 Feb. 1902 but was later rescinded by those favourable to manufacturing interests. This set-back was the beginning of a battle he waged with the Montreal manufacturers over the next decade on behalf of Canadian agriculture. Meighen became known as the leading imperialist in the Montreal business community. Meighen was courted to run for the Conservatives in the election of 1904 but declined. He contributed substantially to the re-election funds of Conservative candidates in the election of 1908, including that of his young cousin Arthur Meighen*, whose electoral bid he offered to encourage his company’s employees in Portage la Prairie to support. 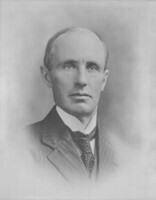 Robert Meighen was one of a group of men who profited from the dominant position assumed by the CPR in Montreal and over the national economy. 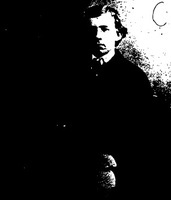 Tied to George Stephen by marriage, he became one of his inner circle. He was named to positions in a number of the CPR’s ancillary companies and proved to be an able manager. His career as head of one of the country’s largest milling firms was also linked to the development of the Canadian west, so he watched the progress of each year’s crop with the same vigilance as the grain farmer. Plain in appearance and of dour expression, he possessed great wit. His paternalistic concern for all employees helped keep his companies free of labour strife. With few hobbies except his garden, he was critical of the extended vacations taken by his colleagues. He died at age 74, collapsing on a sultry day after returning from his office. The Robert Meighen papers in the Robert Reford Company Limited Arch. (Montreal) consist of letters, documents, and other materials relating to his estate; they also include several files concerning his career with the Lake of the Woods Milling Company and other businesses. The records of the LWMC are available on microfilm at the AO (F 136); the originals seem to have gone missing since Ogilvie Mills was absorbed in a series of take-overs. ANQ-M, CE1-116, 28 juill. 1868. NA, MG 29, A30. Gazette (Montreal), 26 Aug. 1901. Canadian annual rev. (Hopkins), 1903–4, 1907, 1909, 1911. Randolph Carlyle, “The romance of milling,” Canadian Magazine, 30 (November 1907-April 1908): 65–74. Land to energy, 1882–1982, ed. C. S. Lee ([Calgary, 1982]). Guy Pinard, Montréal: son histoire, son architecture (4v. parus, Montréal, 1986– ). Saturday Night, 22 July 1911. Larry Turner with J. J. Stewart, Perth: tradition & style in eastern Ontario (Toronto, 1992). D. M. Wilson, The Ontario & Quebec Railway: a history of the development of the Canadian Pacific system in southern Ontario (Belleville, Ont., 1983). Alexander Reford, “MEIGHEN, ROBERT,” in Dictionary of Canadian Biography, vol. 14, University of Toronto/Université Laval, 2003–, accessed April 22, 2019, http://www.biographi.ca/en/bio/meighen_robert_14E.html.